Will Joining Greek Life Increase My Drinking? Over the past two weeks, I have been rushing a sorority. I would definitely categorize these past two weeks as some of the most stressful in my entire life. You have to be dressed up each day, it is super time-consuming, and you sit and talk to people you do not know under several constrictive rules. Why go through this? Being a part of Greek life definitely has it benefits. It helps with landing a job, makes you meet new people and branch out, encourages community service and giving back- the list goes on and on. One thing people look forward to the most is the social aspect. College alone has a huge reputation for drinking, but of course, like all things, that statistic does not pertain to everyone. Sororities and fraternities have frequently planned socials. As an extravert who does not like to miss out on anything, I questioned, will Greek life increase my drinking? Luckily, a study has been done to provide me with the information I have been looking for. Let’s take a look. An observational study was conducted that measured the amount of binge drinking college students do that do not participate in Greek life in comparison with college students that do participate in Greek life. This was documented by Henry Wechsler, George Kuh, and Andrea E. Davenport, all of whom are college professors. A set of questions were sent out to fraternities, sororities, and unassociated Greek life students at 115 colleges across the United States. 14, 756 students participated and filled out the questionnaire. Questions consisted of the importance of drinking, the amount of drinks consumed within a certain range of time, and the amount of times you go out to social events with the presence of alcohol. The results were ultimately very intriguing. Men and women associated with Greek life find drinking to be three times more important than those not in Greek life. 86% of the fraternity brothers binge drink and over 3/4 of sorority members claim they binge drink in college. All parts of Greek life admitted to drink more in college than they had previously in their high school years. Many problems surface with binge drinking. Fraternity members spoke of more fights breaking out, lower grades, and disrupted sleep than non-Greek college students. Conclusively, this study provides evidence that agrees with the hypothesis that Greek Life increases the amount of alcohol you consume regularly. Joining a sorority/fraternity has many positive attributes and can be a great experience. With every positive comes a possible negative. Direct causality is seen here as Greek life causes more drinking. However, reverse causality is not possible due to the fact drinking cannot cause Greek life. A confounding variable could cause both, yet it was not tested in this study. Caution: do not be opposed to joining Greek life at your school because you do not like to heavily drink. Warning: many heavily drinking events are likely to go on that other members will be a part of. So, I am still thrilled to be a part of a sorority, and I am definitely not going to tell my mom about this study. Feel free to check out this video on some of the negative affects alcohol has on your body! I found this post very interesting and agree with the idea that joining Greek life may increase alcohol consumption. I recently had a first had experience last week where a friend of mine who only had the occasional few beers here and there in high school, came home from a rush evident having consumed an extreme amount of vodka. It was the most intoxicated he said he had aver been as it caused him to be violently ill for the rest of the night. I also thought of a possible z variable. A person’s desire for popularity may cause them to want to join greek life and the desire to be popular may incite them to drink more to be more comfortable in social settings or to conform to peer pressure. Your post was very interesting. It (sort of) shows the correlation between Greek life and drinking, but I think the study could go deeper. Since the study was just an observational one with voluntary subjects, the numbers might be different than actual life (although in all honesty its probably close enough.) However, perhaps there are different variables that lead to drinking that Greek life has, but isn’t limited to Greek life. G.L. gives you access to various “gatherings” that someone not in it would not be able to go to, decreasing their drinking. Additionally, due to the varying ages of those in G.L., alcohol is more available to those in G.L. One more thing. You say that reverse causation is impossible, since drinking cannot cause Greek Life. However, what you didn’t consider was the fact that people may join Greek Life due to the percepted (and founded in reality) belief that more alcohol will be available for those in it, and that would be reverse causation, as the intent to drink causes people to get involved in Greek Life. However, nobody would ever actually admit that, so it would be hard to test. I enjoyed reading this post as I find it very relevant to our current lives. I certainly agree with the hypothesis that Greek life and alcohol consumption are correlated. However, with that being said I think this study may have some flaws in it. First of all this study (to my knowledge) was a convenience study, which meant that only people who wanted to answer the questions did so. I do not think convenience studies are always very accurate, but they usually get the general point across. I also think it highly varies depending on which sorority/fraternity you join. Some of the Greek organizations are more focused on community service or making connections, while others might want to party a bit more. Just because you join Greek life does not mean you will drink more. I have a friend who hates drinking, yet is a member of a fraternity that throws parties every weekend. I personally have never attempted to join Greek life, but I have absolutely nothing against it. I love your last comment about not telling your mom about this study! Haha, good luck with this semester! I just rushed a sorority as well so I was really interested in this study since I had some of the same curiosities! I am not surprised with the results that members of Greek life tend to find alcohol more important/ binge drink more but i would also love to see other statistics from this study! For example, non greek students, maybe they aren’t attending more social events without alcohol, but rather just less social events in general. Also, greek members participate in a lot of service so i would like to see the data for who participates in more dry service events, greeks or non greeks. 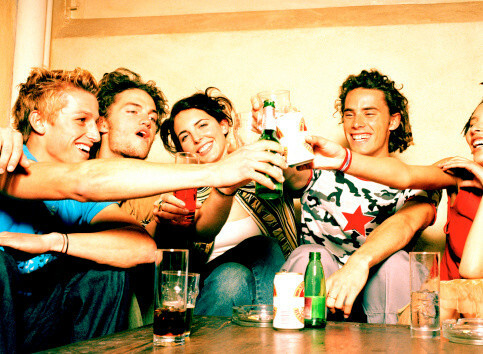 here is a link to an article pertaining to fraternities and their social habits which would maybe explain more as to why binge drinking is so popular. Hi Lauren, i loved reading about this topic because it is so relevant to most freshmen, including myself first semester. 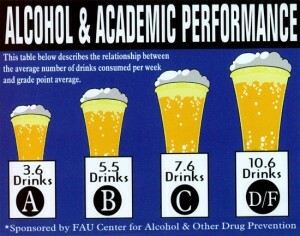 I agree that drinking has a major effect on grades and academics, however i think a lot more factors go into it. Overall greek life will and has increased the average consumption of alcohol but it doesn’t necessary have to pull your grades down with it which is why i disagree with the picture posted. Since I am pledging this semester, i have seen that rushing/pledging will and has taken up a lot of my time, however i have kept up with my school work and look forward to keeping it that way. This can effect every person differently though and thats why i think this article was so interesting. Overall great job! I myself have been rushing this fall to join Greek life, and it has also been very time consuming going to all the fraternity rush events to see where I want to fit in. With a lot of students joining Greek life, their is some skepticism of hazing that is going to be involved. You can read up on the Kappa Delta Rho scandal here. Ultimately, I’m excited to get started and get my work done, even though I will have little time to have fun. From what I have been told from older brothers, pledging puts your head on straight, and you have no time to mess around. You will get your work done, and get through all of the sleepless nights. I’m looking forward to starting this right of passage into the fraternity I want to join. I am a sophomore involved in greek life, and I loved reading this post. I totally agree that joining greek life will increase you’re drinking. I specifically loved the part when you talked about the fear of missing out. I find that this is actually what increases my drinking the most. On most night I feel that I have to go out because all of my friends are going out and I don’t want to miss any of the good times. 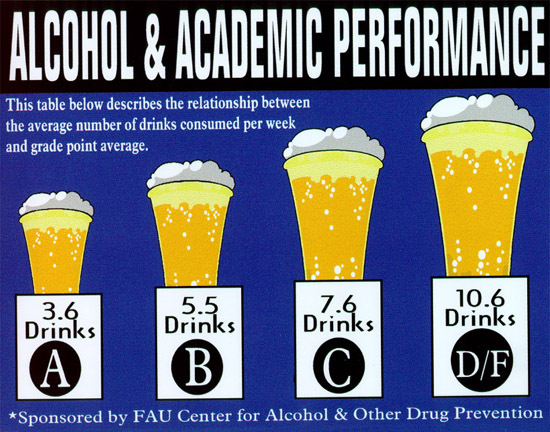 As far as drinks/greek life lowering grades, I kind of disagree with that part. I have found that after joining greek life, the peers in my chapter have been able to help me with work and my classes. They are there to give advice if they have taken the class, or tutor me if they understand the topic well. Overall I loved this article and thought it was super creative! Lauren, I think this was a great thing to blog about. With Greek Life in full swing and all the freshman joining, It is a good way to help students become aware of the effects and things that can happen while drinking. It is very interesting to me that students in Greek life drink more than students who aren’t involved. I would think that, for sororities at least, it would be less. I guess we learn something new every day! Good job! As someone who is in greek life here at Penn State this topic was one of my favorites to read yet! In my personal experience, I truly do believe that those in greek life drink more than those that aren’t. However, I do believe that it is ultimately up to the individual. Although, you could argue that there are lots of social pressures that could make one feel somewhat forced into binge drinking. After looking at your image that shows the amount of drinks corresponding to your GPA average, I would love to see more research done on that. From my personal experience a lot of people within my fraternity house receive above average grades here at Penn State and consume what would most likely be above the average amount of alcoholic beverages in a week. I think you will find this article on how those in greek life have above average GPA’s. Ignore my pervious comment, I accidentally clicked in the wrong place…that being said, your link is broken, there is a ” at the end that shouldn’t be there.